Yacon Syrup tastes extremely sweet however the sugar it contains is mainly fructooligosaccharide (FOS), which cannot be absorbed by the body, making it suitable for diabetics or others on low sugar diets. Yacon also acts as a prebiotic which means the undigested portion of yacon serves as food for “friendly” bacteria, such as Bifidobacteria and Lactobacillus species, in the colon making it good for digestion, and helping absorption of calcium and vitamins. Yacon also provides significant quantities of potassium and antioxidants. A staple food for centuries, grown in the Andean Highlands of Peru, this natural sweetener tastes of molasses and can be used in the same way one would use honey or other sweeteners, for beverages and desserts. Yacon syrup is a natural, low-glycemic sweetener that is extracted from the tuberous roots of the Yacon plant. Yacon, also called Peruvian ground apple and scientifically referred to as Smallanthus sonchifolius, is a perennial plant that is commonly found in Northern Andes, Argentina, and other parts of North and South America. It is native to the Andes of Peru and has been used since historical times by the Incas. Yacon roots are rich in Fructooligosacharides (FOS) and water, and low in calories. The FOS is a special sugar that is not digested by the body, and hence considered to be a safe sugar alternative or a healthy sweetener for dieters and diabetics. The crispy, sweet flavor of fresh Yacon root is comparable to that of watermelons and apples. Yacon is also cultivated in China, Japan, South Korea, New Zealand and Australia. 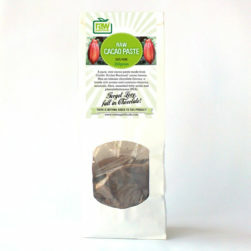 A dried powder is also made from the roots, and the dried leaves of Yacon are used to prepare Yacon tea in Brazil which is believed to be anti-diabetic. The tuberous roots of the Yacon plant are used to extract the Yacon syrup. Yacon syrup is a healthy replacement for sugar containing high levels of Inulin and has a taste similar to molasses. Yacon tubers are abundant in water and fructooligosaccharides (FOS), and it is this FOS which is not digested by the body, and inhibits the excessive absorption of sugar into the blood stream. Hence, Yacon syrup is considered as a safe sugar alternative or a healthy sweetener for dieters and diabetics. 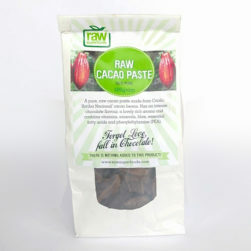 Yacon syrup is not a raw product, however it is often used as a healthier choice of sweetener in raw food recipes. For processing, the yacon roots are collected, washed, peeled and the juice is extracted into a pot. The Yacon juice is boiled and simmered overnight. The process of skimming and boiling is repeated the next day until the juice acquires a darker tint and a molasses smell. The juice is filtered and the syrup is stored in a clean container. 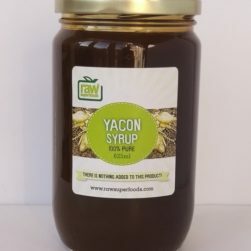 Yacon Syrup tastes extremely sweet however the sugar it contains is mainly fructooligosaccharide (FOS), which cannot be absorbed by the body, making it suitable for diabetics or others on low sugar diets. Yacon also acts as a prebiotic which means the undigested portion of yacon serves as food for “friendly” bacteria, such as Bifidobacteria and Lactobacillus species, in the colon making it good for digestion, and helping absorption of calcium and vitamins. Yacon also provides abundant nutrients includingsignificant quantities of potassium and antioxidants as well as calcium and phosphorous. FOS contains fiber which helps maintain a healthy colon function. 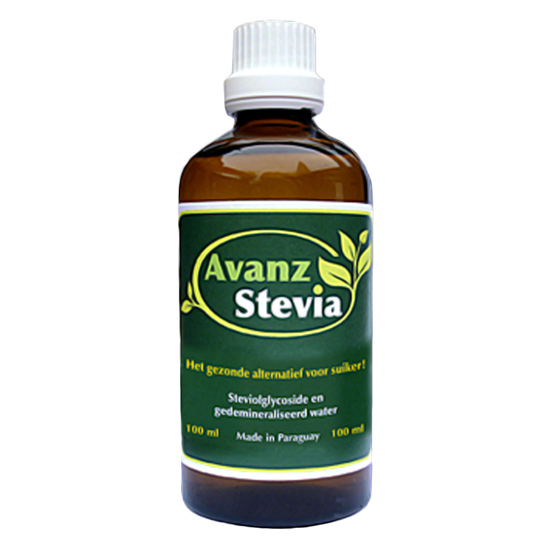 Additionally, FOS is believed to reduce cholesterol levels, hasten weight loss, support the immune system, promote calcium absorption, and inhibit the growth of cancer lesions in the colon. It is reported that the leaves and roots of Yacon are rich in glyco-nutrients, and antioxidants such as polyphenols. Polyphenols are effective in protecting our body against heart disease, diabetes and cancer. One main health benefit however, is due to it being a ‘safe sweetener’ and the possibility for its use to replace more harmful and high glycemic sugar sources in recipes. 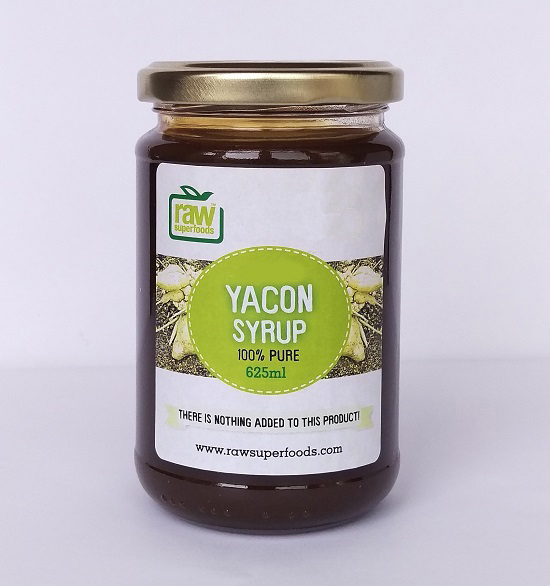 Yacon syrup is used in smoothies, desserts, dressings, fruit salad, sauces, tea and bakery products.